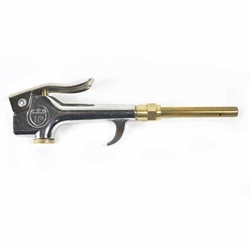 Interstate Pneumatics B315 Standard Economy Blowgun including Safety Brass Tip with Rubber Skin. Rugged zinc die-cast chrome plated body Blowgun - Thumb Lever - with safety Brass tip with Rubber skin.This Blowgun comes in one single piece with IP new safety Brass tip, BT8S-R assembled to it. Type: Standard economy Blowgun including safety Brass Tip with Rubber skin. 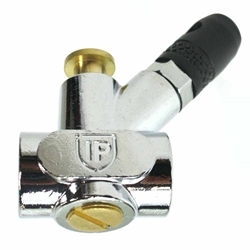 The Interstate Pneumatics Safety Series comply with *OSHA 1910.242b and 1910.95 by using a tip that reduces the pressure from a maximum of 150 PSI to an outlet pressure of 30 PSI at the nozzle. 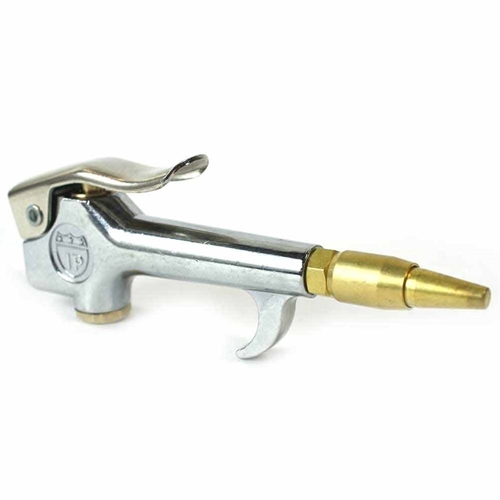 The tip also includes a safety by-pass which prevents excess pressure build-up in the gun if the nozzle becomes clogged or "dead-ended." 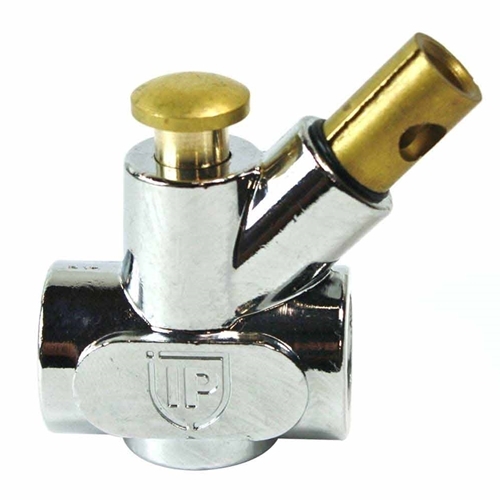 All INTERSTATE Safety Blow Guns have a 1/4" NPT Female inlet and 1/8" NPT Female outlet. 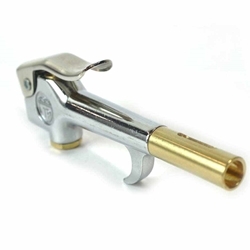 Area of bottom of Blow Gun is recessed to perfectly fit the user fingers allowing a firm yet released grip. Application include blowing away dust, metal chips, wood chips etc. Note: Accessories of these guns like Tip & Extension are also available. 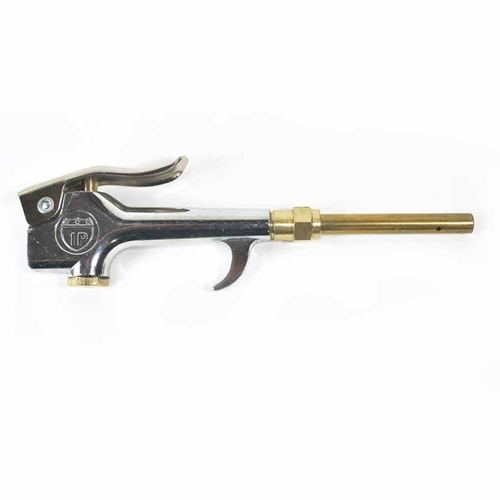 Interstate Pneumatics B309XS3-D Display Pack Safety Blow Gun with 3". The Interstate Pneumatics Safety Series comply with *OSHA 1910.242b and 1910.95 by using a tip that reduces the pressure from a maximum of 150 PSI to an outlet pressure of 30 PSI at the nozzle. The tip also includes a safety by-pass which prevents excess pressure build-up in the gun if the nozzle becomes clogged or "dead-ended." 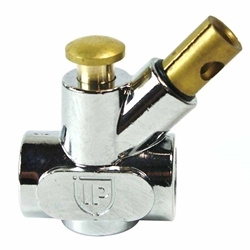 All INTERSTATE Safety Blow Guns have a 1/4" NPT Female inlet and 1/8" NPT Female outlet. Area of bottom of Blow Gun is recessed to perfectly fit the user fingers allowing a firm yet released grip. Application include blowing away dust, metal chips, wood chips etc. 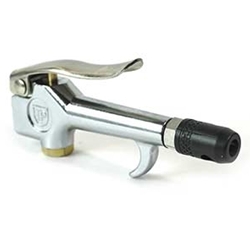 Interstate Pneumatics B309XS6-D Display Pack Safety Blow Gun with 6" Extension. The Interstate Pneumatics Safety Series comply with *OSHA 1910.242b and 1910.95 by using a tip that reduces the pressure from a maximum of 150 PSI to an outlet pressure of 30 PSI at the nozzle. 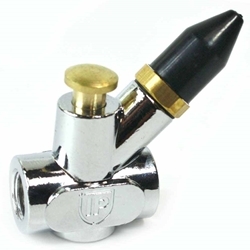 The tip also includes a safety by-pass which prevents excess pressure build-up in the gun if the nozzle becomes clogged or "dead-ended." 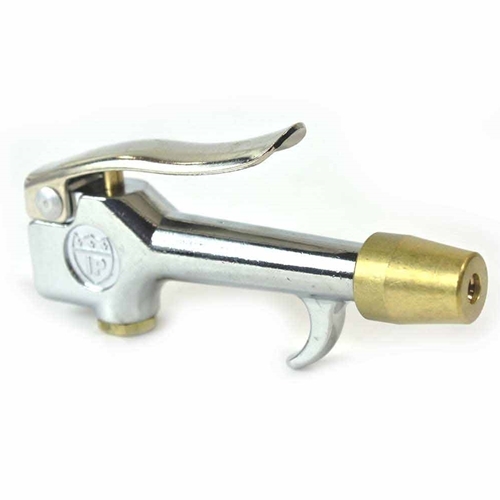 All INTERSTATE Safety Blow Guns have a 1/4" NPT Female inlet and 1/8" NPT Female outlet. Area of bottom of Blow Gun is recessed to perfectly fit the user fingers allowing a firm yet released grip. 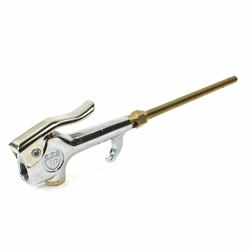 Application include blowing away dust, metal chips, wood chips etc.